Just as important as the design of a website, is the content that is on its pages. Content informs your visitors of what the website is for and is one of the most important aspects of search engine optimization. The flow of content should always be constant, whether it is adding new pages about, practice areas, locations, blogs, or any other content for that matter. Most importantly, good content builds credibility. This is especially important for law firms. An example of good content is if you are a personal injury lawyers and you want to focus on clients who have been injured in a car accident. You will fill your website with reliable, original content about car accidents. You might want to have a page giving an overview of the process and a blog about the steps to take after a car accident. Makes sense, right? When you are writing content, it is important that you do not “keyword stuff.” Simply writing a page of content that features a bunch of keywords you want to rank for and linking them to pages on your site does not work anymore. Search engines want to read strong, original, and trustworthy content. One of the services we perform for our clients is providing them with “evergreen content” throughout the year. Evergreen content is information that we know will always be of interest to your readers for a prolonged period of time. For example, if you are a personal injury lawyer, we would write a page of content on car accidents. On this page, we would include steps on what to do after a car accident, different types of car accidents, common injuries from car accidents, and general knowledge of the laws that may be applicable if you are in a car accident. This information rarely changes, therefore it is evergreen, like the trees. When the algorithm is in the crawling phase, it discovers the content. The next phase is indexing. Indexing is the analysis of keywords and content (how long the content will be relevant for). The final phase is retrieval. The retrieval phase is best described as when a user searches all of the relevant pages come up that match the indexed keywords. When we are planning evergreen content it is important to pick topics that will remain relevant for a prolonged period of time. Like the example we provided earlier, if you are a personal injury lawyer, we will choose topics that align with personal injury law; such as car accidents, construction injuries, slip and fall injuries and so on. Now, you might be thinking, why would I hire someone to write my content, I can do this myself. Well, we are going to give you a number of reasons. Writing content is no joke and the work can be mentally demanding and tiring. Full pages for your site require 800-1,000 words. While blogs are shorter, they should be over 400 words themselves. We want you to focus on law and to leave the writing to us. Our content writers have years of experience writing content for law firms and many of them have a background in law. The writers at Legal Firm Web Design write beautifully and know how to mix in keywords so they go unnoticed. Our writers develop content from scratch. WE NEVER USE RECYCLED CONTENT!! One of the biggest factors in turning visitors into clients is to be seen as a trustworthy website. 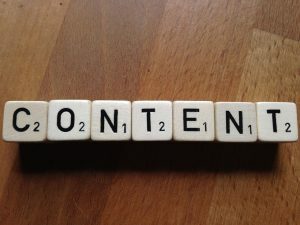 Well-written and original content proves your website’s credibility. Our team of writers has a quick turnaround rate. We get you the content you need and as soon as it is approved by you, we upload it to the site. This allows us to stay on top of relevant current events that draw prospective clients into your site. Some of you might be asking, why does a law firm need a blog. Well, there are a number of reasons. One reason is that it keeps the site updated and brings in fresh content. All of the blogs that we, or you, write for your law firm’s website will be relevant to the website and the type of law you practice. Secondly, blogs help you rank for long tail keywords. 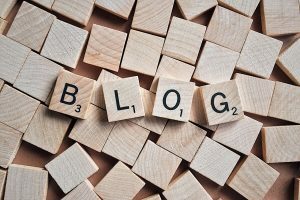 An example of a long tail keyword is “steps to take after a car accident”; as opposed to “accident.” Another reason blogs are beneficial to your website is it allows for discussion. In a perfect world, we would love our lawyers to comment on current events, but we understand that our clients are very busy and may not be able to. While these topics might not have the highest evergreen score, they will generate a ton of organic traffic and potentially open a discussion on social media. Last, but not least, blogs may help answer prospective clients questions before they even ask them. All of this can help lead to prospects turning into clients. The number of blog posts depends on the size of practice and the package you order. While we include blogs in our packages, you should feel free to post your own blogs. One of the biggest aspects of blogging is consistency. Whether you post a few times a month or a few times a week, it is important that you continue to post. When content becomes stale on your website, it negatively affects your SEO and can hurt your website overall.